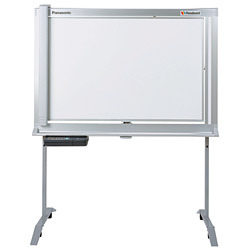 Get more out of your meetings while keeping everyone on the same page with Panasonic's plain paper Panaboards. Make notes and when you need it, just use the included eraser to make changes. Then print out your notes with the built-in printer. Add optional PC interface software and print your PC data on the printer as well. * Up to continuous 4-screen capability make plain paper Panaboards a feature-rich, high-economy business tool. The UB-2815C/UB-2315C comes with a standard USB/PCL3 connection allowing for printing capabilities.